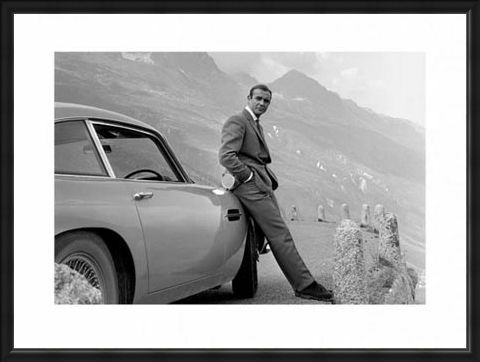 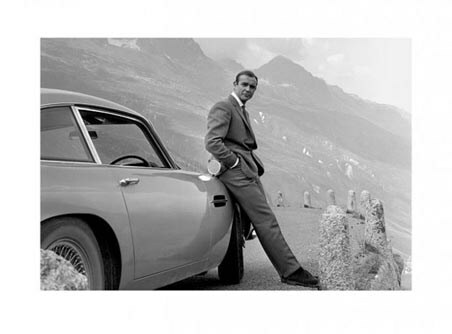 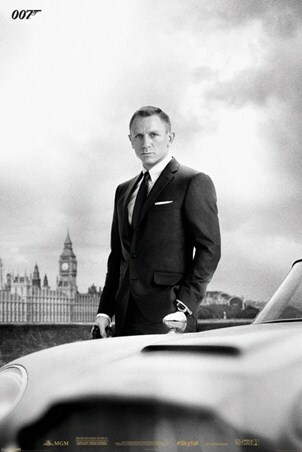 Film Art Print: One of the most infamous images to have been taken throughout the entire James Bond film series, this stunning black and white photograph sees a young Sean Connery as 007, leaning up against his Aston Martin DB5 in the third movie, 'Goldfinger'. The silver DB5 is one of the most famous Bond cars ever used in the series, returning for no less than five different Bond film appearances, making this great shot perfect for any fan. 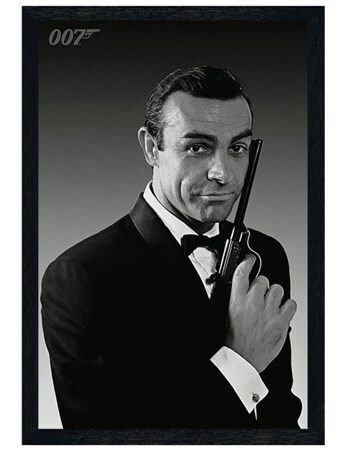 High quality, framed Bond and his Aston, Sean Connery is 007 print with a bespoke frame by our custom framing service.